Man, that is a take. On the one hand, he’s right that a Chipotle story involving food poisoning feels like kinda old news—we’ve been there, right? On the other hand, he’s right that young people are sometimes really stupid about whether or not something will affect them negatively, and on the other hand, holy crap, he’s maybe sort of right? 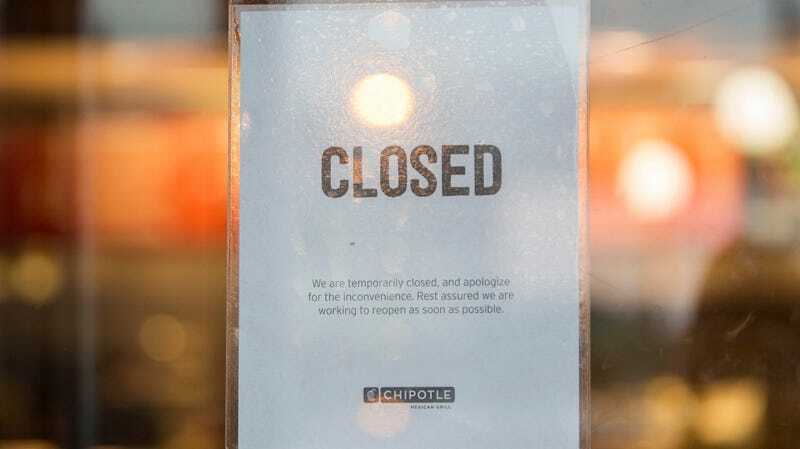 That explains in part why an issue that seems to be limited to one restaurant had such an impact on Chipotle more broadly; the news “had investors dumping its shares on Tuesday.” That Ohio location has since re-opened, and a Chipotle spokesperson told CBS that the company “offers three days of paid sick leave each year to all of its employees.” So, guys, stay home if you can’t stop pooping, please.